The purple carpet from the artwork of Twister. Ancient Telescope, Magical Citadel of Endymion, Supply, and several copies of Monster Eye also appear in this card's artwork. The soldier's red scarf is masking the bottom half of his face. The soldier appears to be wary of the copies of Monster Eye, whose searchlights indicate they are a type of guard. 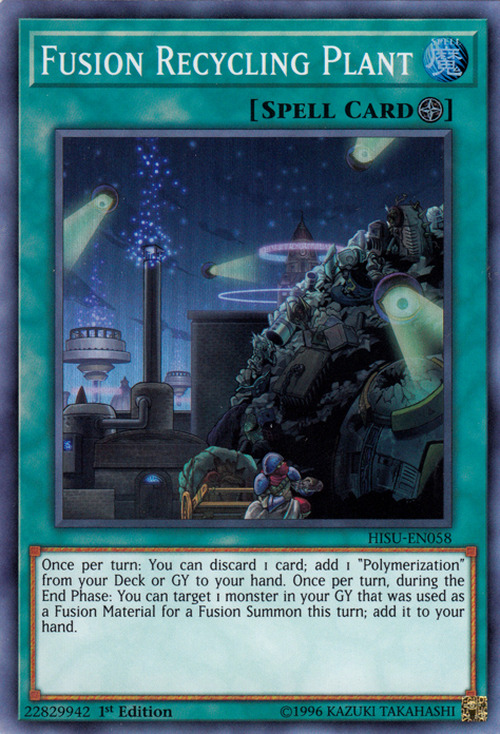 Many of the items in this card's artwork also appear in the artworks of Twister and Twin Twisters, which indicates that those items were later sent to this recycling plant as a result.